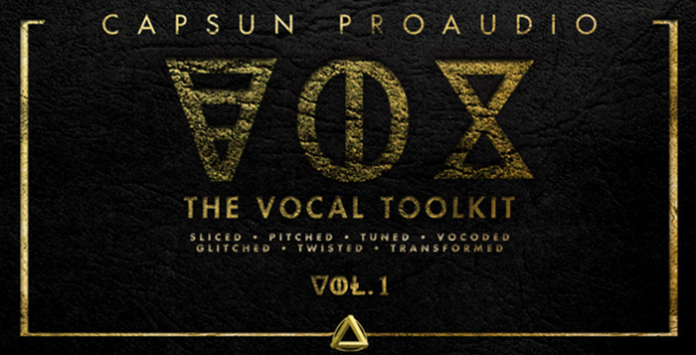 CAPSUN ProAudio are proud to present VOX – The Vocal Toolkit Vol.1 – the first in our series of vocal packs aimed at electronic, urban and EDM producers. Expect to find a huge 500Mb+ collection of Sliced, Pitched, Tuned, Vocoded, Glitched, Twisted and Transformed vocal loops and one shots in 24bit WAV quality, ready to drop straight into your DAW of choice. We’ve included 100 heavily processed and effected vocal loops to use as exciting song starters or ready made toplines. As producers ourselves, we know that you might want to have the choice and flexibility to use your own creative FX, so we also included all 100 loops completely dry. Loops are organised from 100-165bpm and tagged with the root key for ease of use and every dry loop is also included as a Rex2 file. You will also find a giant collection of almost 400 one shot vocal samples and 300+ custom vocal sampler patches for Kontakt and NN-XT. Add to that, 10 sixteen pad sets for Reason’s Kong and this truly is a huge creative and inspiring vocal resource. Inspiration has been taken from many genres and fans of creative vocal sampling and editing by artists such as Flume, Porter Robinson, Diplo, Skrillex, Zedd, Clean Bandit, Big Chocolate and Dillon Francis will be right at home with this collection. This is the real sound of modern experimental electronic vocal production. House, Trap, Hip-Hop, Garage, Dubstep, DnB, EDM & more – we have you covered. Check out the demos and get ready to sample VOX – The Vocal Toolkit Vol.1 today!